By: Hanoch Levin. Direcctor: Carme Portaceli. 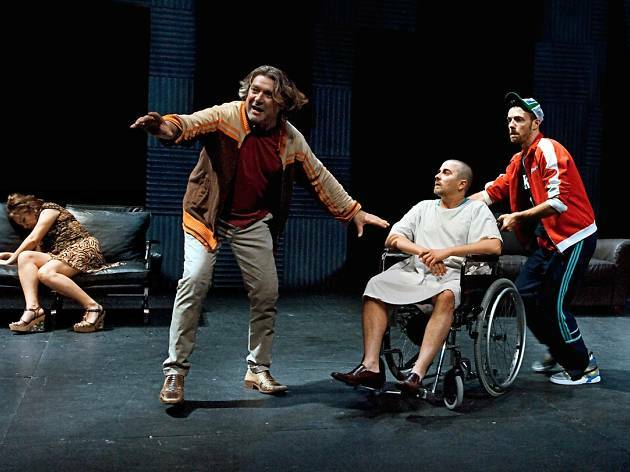 With: Pere Arquillué, Jordi Brunet, Lluïsa Castell, Jordi Collet, Gabriela Flores, Carme González, Oriol Guinart, Mónica López, Pepa López, Joan Negrié, Albert Pérez. 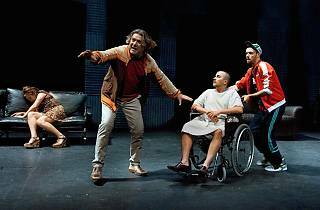 Israeli dramatist Hanoch Levin's anti-hero Krum ('crust' in Hebrew) comes home after a long absence. He hasn't made a success of his life, he hasn't married, he hasn't made any money - he's done nothing. Life is abroad, but he didn't find it. A tale of lonely people, haunted by the passing of time.